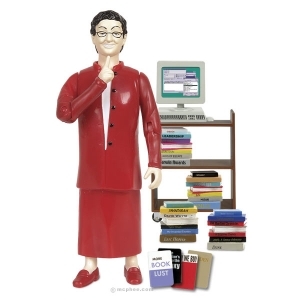 Ever wanted to delve into the unexplored world of librarian culture? If you just said “no”, I can’t hear you. If you just said “yes”, then today, my friend, is your lucky day. Cribbing heavily and blatantly from another website which shall remain nameless, I bring you Things Librarians Fancy. I am guilty of many, many (okay pretty much all) of the items listed below. Be it book, A/V or other, librarians love all things multi-shelved and four wheeled. 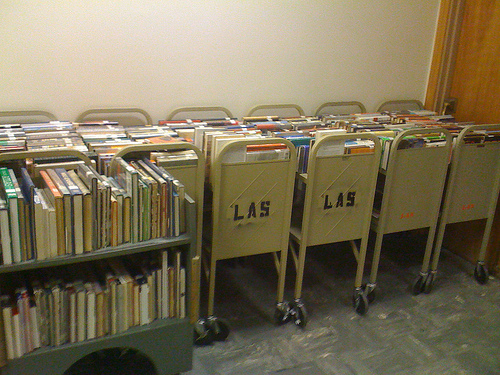 The tech-savvy may gush about how they put together “the perfect document camera setup”, the bookish may encourage you to check out their drill cart team at American Library Association (ALA) Annual Conference – either way, librarians rely heavily on these contraptions for their identity. Fast Fact! Librarians are known to keep their cart wheels free of oil, so that the screeching sound may announce their arrival in advance. When it comes to lunch, librarians completely forego warm food in favor of items that can be pulled out of the refrigerator and eaten at once. Raw vegetables, various cheeses, whole-grain crackers, granola, and other foods enjoyed by mice are common librarian staples. Fast Fact! Librarian Abner Tweed went 43 years without using an oven or microwave (1961-2004). It may not surprise you to hear that librarians love cardigan sweaters. What you may not know is that there are two varieties of cardigan-wearer – ironic and irony free. The former is typically middle aged or older and enjoys the warmth that a well-made sweater provides in the chilly library setting. The latter resides in the 20-35 year old age range and is seeking to project the nerdy hipster image. Fast Fact! The ironic/irony-free librarian schism occurred in late 2003. Nothing gets a librarian more excited than reading a book that you haven’t, usually so that they can recommend it to you or totally dismiss it before anyone else. “In the know” librarians often use the terms ARC, galley, and advanced copy to describe books that they feel are “going to be big”. Fast Fact! Kelly Forte has been called the world’s most forward-reading librarian. She is currently reading books that won’t be published until 2014, and has even sent a letter to Jon Scieszka’s agent, asking that she be allowed to look over Mr. Scieszka’s shoulder as he works on his next book. Librarians have many unnecessary items to carry around on a regular basis and nothing fits the bill like a sharp tote bag. The more obscure the better. 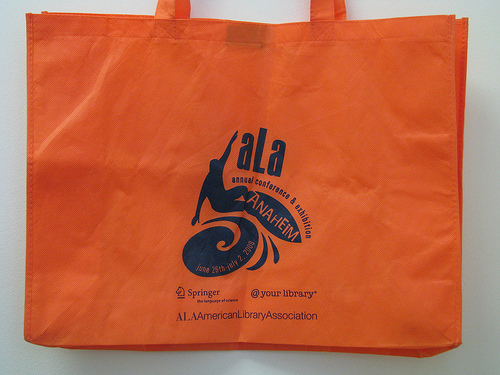 Carrying a bag given out at the recent ALA convention? Frowned upon. 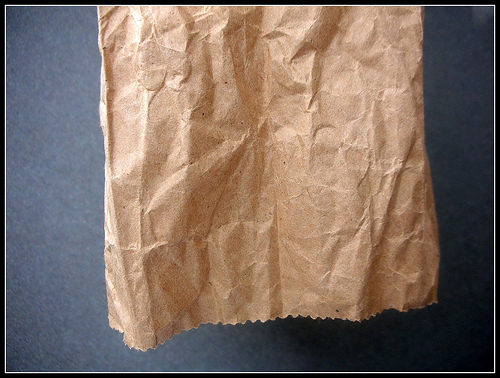 Carrying around a bag from that Hawaiian grocery store you visited last year? Just right. Fast Fact! The tote bag was created in 1895 by librarian Lucy Sue Pente to carry her valuable rubber stamps to and from work. Librarians would like to make something clear: they love the important works of literature. If it’s leather bound and dusty, librarians support it. Librarians are also constantly bestowing “new classic” status on things ranging from the latest Newbery winner to the digital date-due stamp. Fast Fact! The most misplaced awarding of “new classic” status occurred in 1992, when Librarian Greg Tackus bestowed the honor on the Whatchamacallit candy bar. Librarian: I’m guessing you assume all librarians are older women with glasses and a bun in their hair? Librarian: Well guess what? (Dramatic pause) I’m a man. Librarians love nothing more than to make you say “You’re not like the librarians I know”. Fast Fact! Joe Winnan is the world’s most unstereotypical librarian. He runs a barber shop and bakery while checking out scent books in his underwater “knowledge cave”. There is nothing that gives a librarian more pleasure than pulling out an impressively minuscule computer (sporting an eye-strainingly tiny screen) faster than you can say “Wikipedia is evil”. Fast Fact! The soon to be released Toshiba DeweyTronic is the world smallest laptop computer. It’s so small you can swallow it! Nothing says “I like to read” more than a pair of oddly shaped eyeglasses. The thicker the frames, the better. Oddly shaped lenses are also common. Fast Fact! 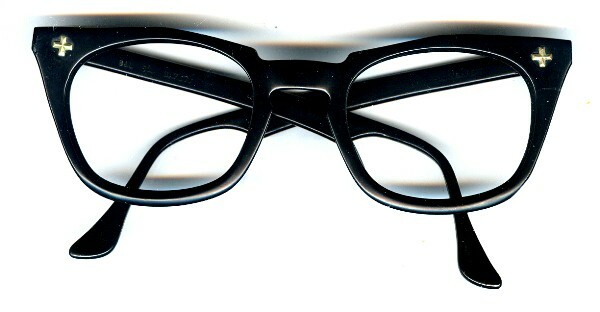 Cutting edge librarian optometrist Charles Hopp has created the world’s thickest-framed glasses. To achieve this distinction, Hopp completely removed the lenses to make room for more frame. Librarians like to be on the cutting edge when it comes to advances in tech, and derive great joy from mocking technologies that have become â€œobsoleteâ€. Comments such as “I don’t even know what this is!” and “Have you ever seen one of these?” are common when outmoded technologies are encountered. Librarians also enjoy labeling technologies obsolete either far too soon or far too late. Fast Fact! Some librarians have already labeled cell phones obsolete; pointing to a revival in smoke-signal technology that they predict will be the preferred form of communication in the coming years. They are already stockpiling wool blankets. I love my messenger bag for my computer, Sam Edleman’s, Bantu twists, and three dogs. As for sweaters, I wear turtle necks with knee or calf length leather skirts. I transport my tuna or veggie sandwiches in a small Whole Foods reusable shopping bag. My younger female neighbors (I’m mid forties) have labeled me, “The Block Fashionista”. 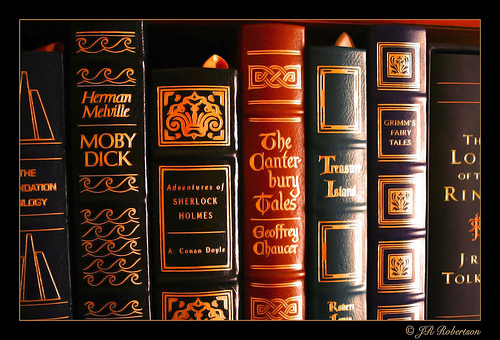 Yes, there are classic leather bound books in every room of the house. Librarians are fun check out this link See the photos!